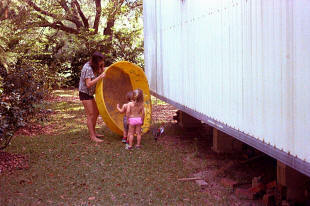 I reminisce about the plastic pool and how cute my kids were playing in it! 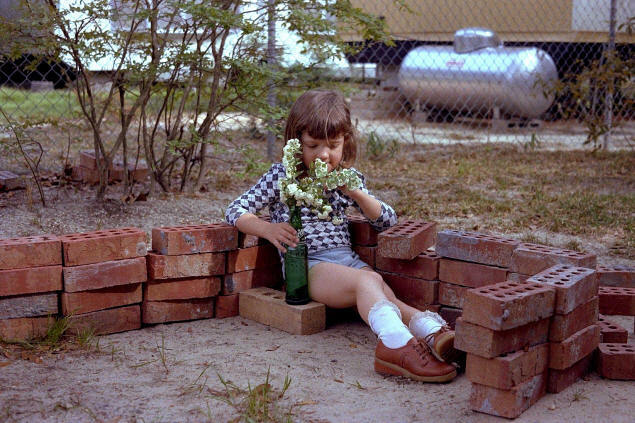 In 1978, I had quit my job at the Florida State Division of Forestry to attend school full-time, at the University of West Florida at Pensacola. That meant that, for the first time in years, I had to rent a place for us to live. 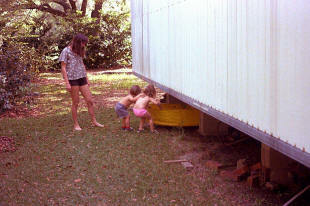 I found a single-wide, 3-bedroom mobile home not far from the school with a good-sized yard for the kids to play in. 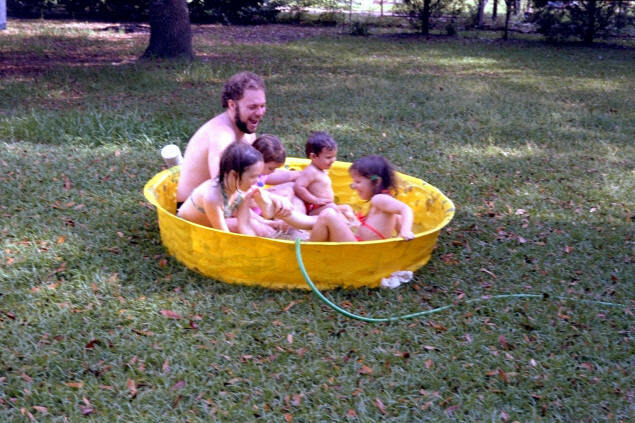 Since we had little money, they didn't have a lot of store-bought toys but nevertheless found creative ways to enjoy themselves. Karen, for example, was a builder. She found a bunch of bricks and carted them over, then built a "house" (or a foundation of one) in which she sat, playing house. 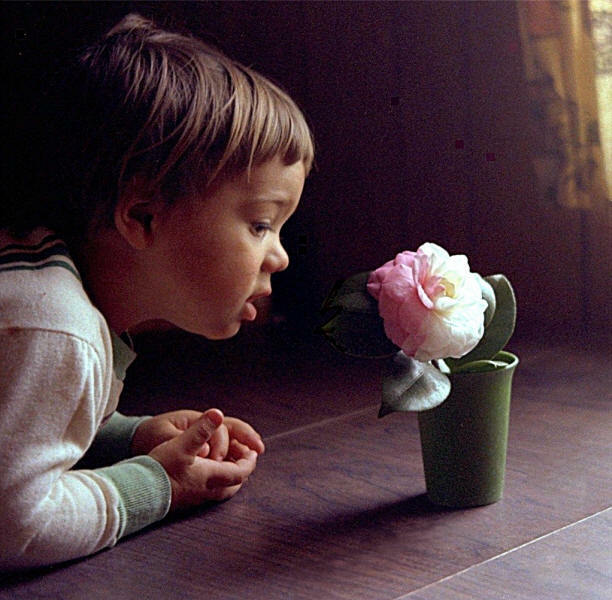 The littlest, John (then called "Johnny"), was young enough that anything was interesting enough to capture his attention. 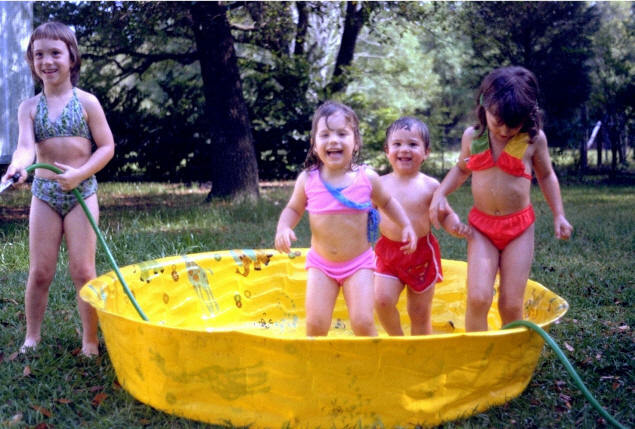 In early May, as the warm days of summer approached, K-Mart had a sale on plastic wading pools—just $10 for one that would fit all four kids and a grown-up, too. We had stored it under the mobile home where it became coated with sand. 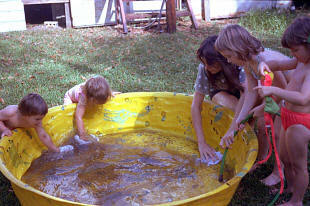 But when the day came to use it, removing it, cleaning it, and filling it became a family affair. 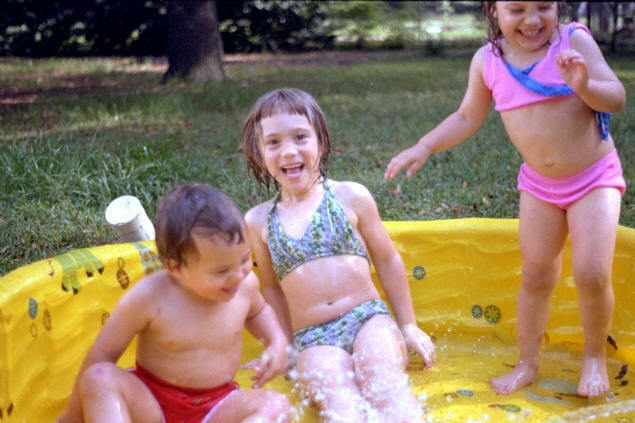 The first task was to get all four kids into bathing suits. More work was involved with the littlest ones, of course. …and the sand rinsed off of it. 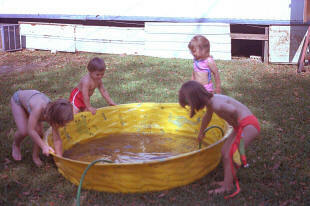 Finally, the pool could be filled, and last-minute adjustments made to bathing suits. 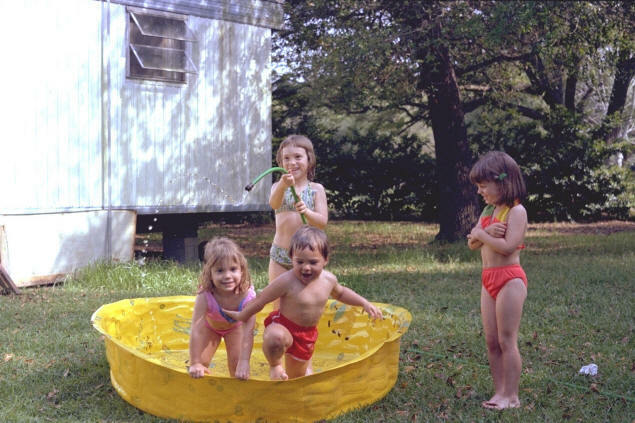 Actually filling the pool was at least as much fun as bathing in it! 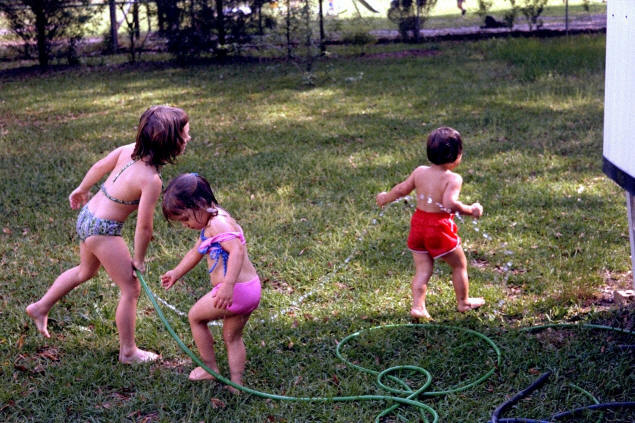 What kids can resist the joys of a garden hose? Finally, everyone who wanted to, was able to fit in the pool and be in at least some water.